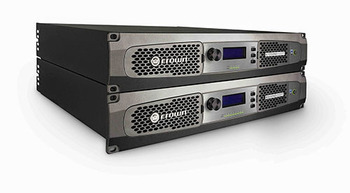 ELKHART, Indiana — HARMAN’s Crown Audio announced that it now offers an online certification program for its DriveCore Install (DCi) Series amplifiers. Available free of charge, the program offers instruction covering Crown’s DCi Analog, Network and Network Display amplifier models and information about the company’s exclusive DriveCore technology that is at the heart of the amplifiers’ powerful and efficient operation. The course is available online at: http://www.crownaudio.com/usa/drivecore-install-series.html. Simply click on the blue “Test Your Knowledge” icon at the right of the screen to register and take the test. The test consists of approximately 50 questions and has a time limit of three hours to complete. Once registered, users may take the exams in one sitting or save their progress and resume the test at a later date. Once logged on, participants are asked a series of questions about the DCi Series amplifiers. Information to help in completing the exam can be found in the DCi training videos on the Crown YouTube channel (https://www.youtube.com/user/CrownInternational) and on www.crownaudio.com. Additional helpful information is available by working within HARMAN’s HiQnet Audio Architect software and watching its training videos, viewing the company’s System Technology Bulletins and by having a general understanding of professional audio and networking. The test is designed to provide guidance to those seeking training, and the questions themselves offer helpful resources. Participants must receive a score of 90 percent or greater to earn certification. There is no limit to how many times the test may be taken. Once they pass, users receive a downloadable Certificate of Completion and a notification is sent to Crown.